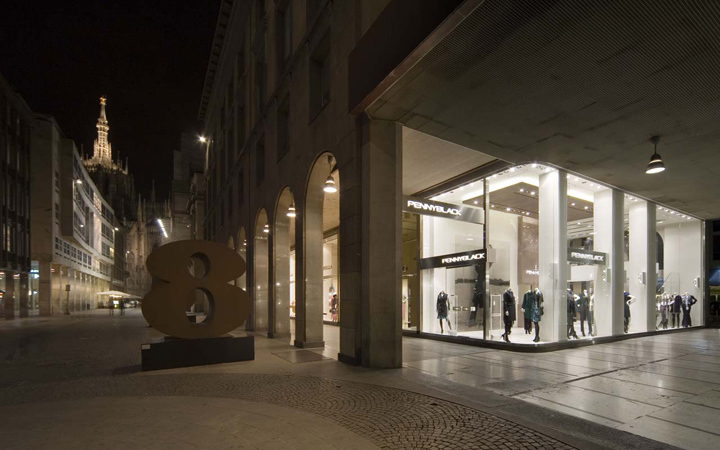 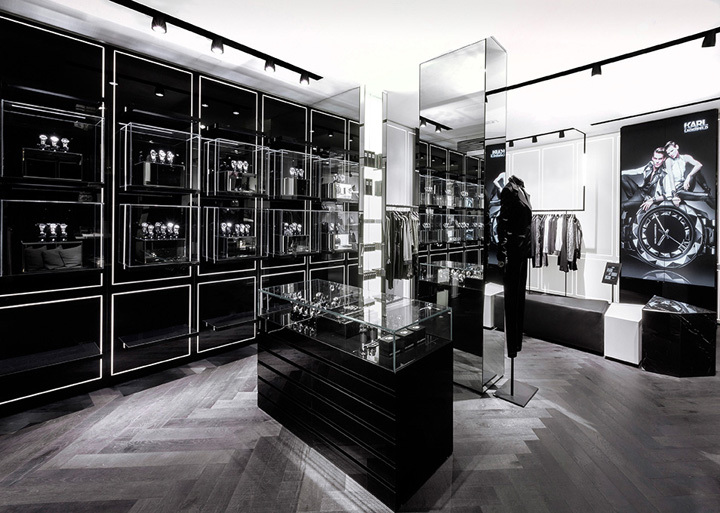 On March 1st 2013 the first European concept store for KARL LAGERFELD opened on Boulevard St. Germain. 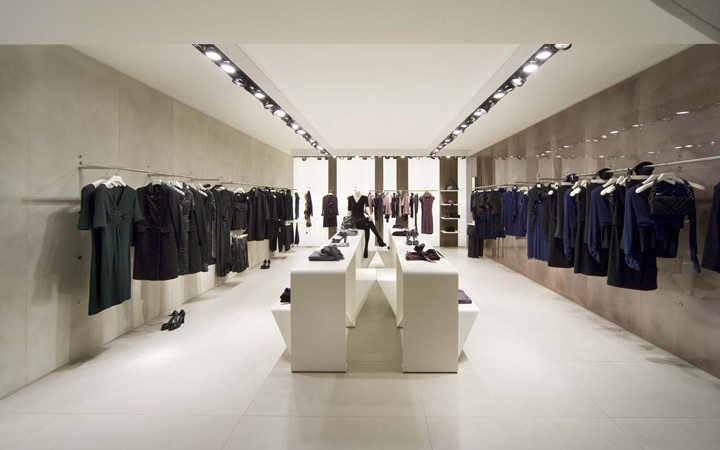 The new retail concept has been developed under the artistic direction of the designer himself. 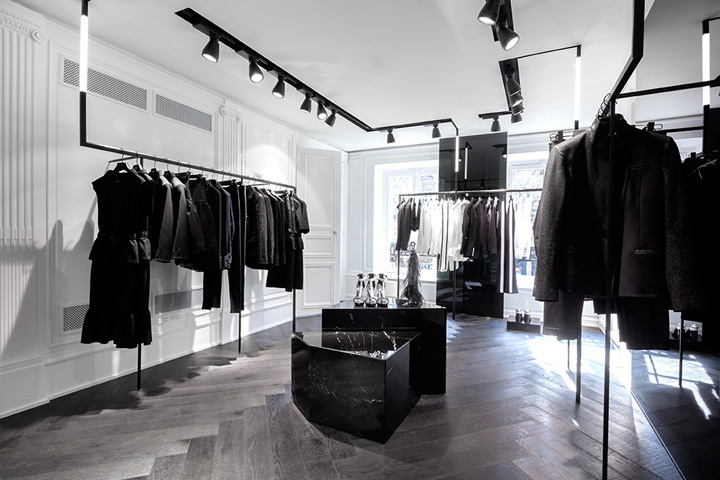 marked by a minimalistic design with french flair the store design was created and implemented by Plajer & Franz Studio in cooperation with New York based creative agency Laird + Partners. 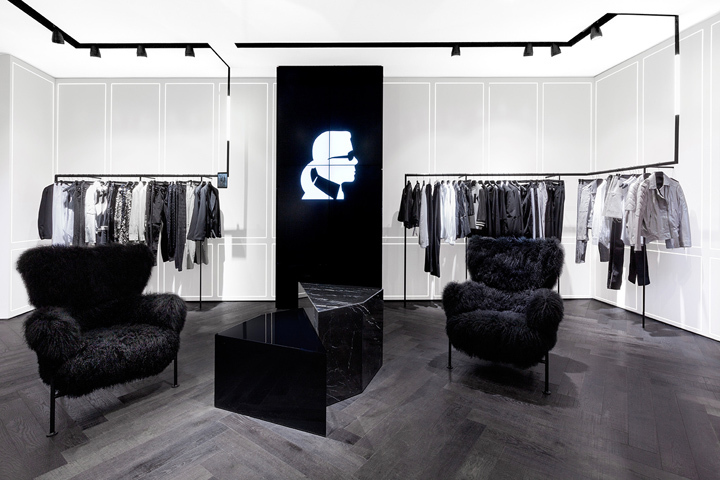 Spread on 209 sqm shopping space, the overall store concept bears reference to the characteristic handwriting of Karl Lagerfeld and is inspired by the vision of the designer. 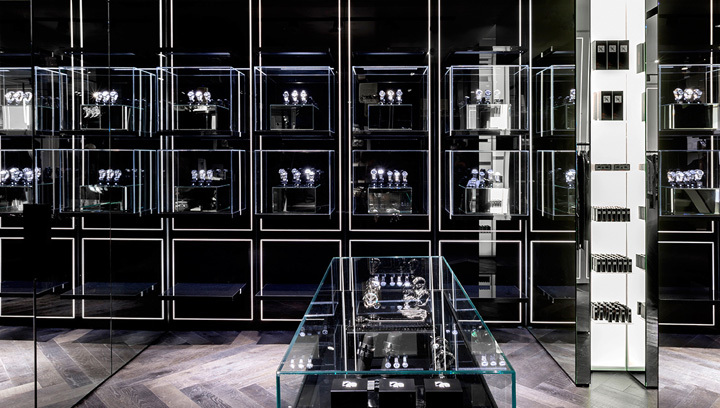 The main focus lies on reduction, black and white as well as strong contrasts in shapes and surfaces, blending edgy modern and classic elements. 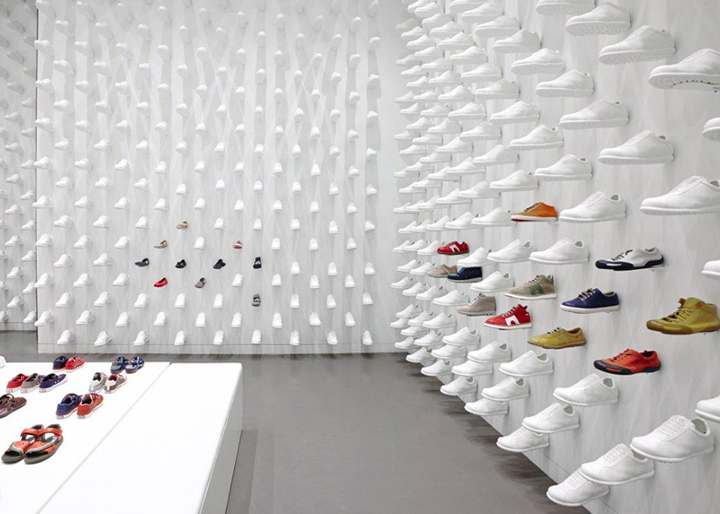 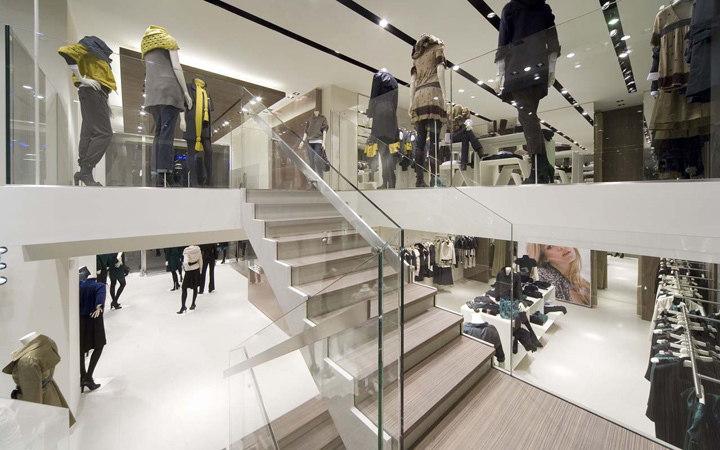 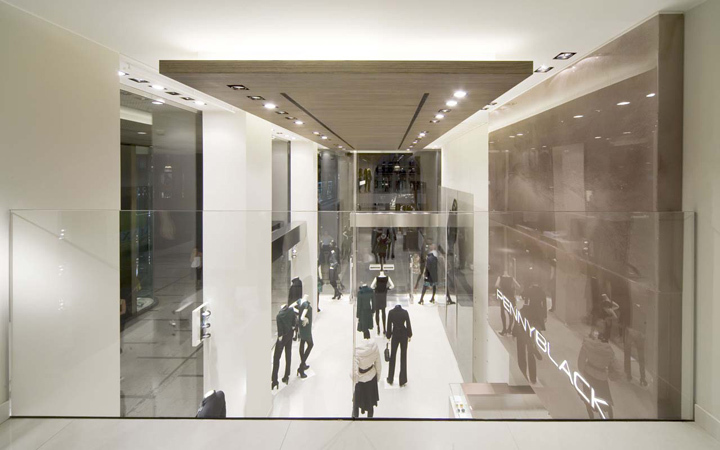 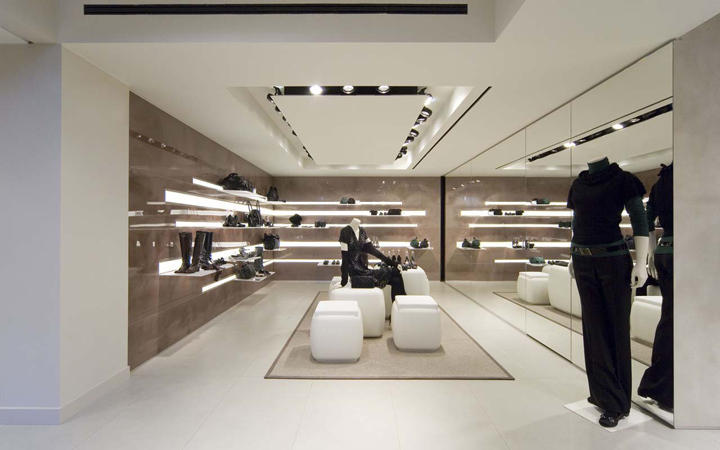 For all that, the rich-in-contrast design of the store appears harmonious and captivates with its love to detail. 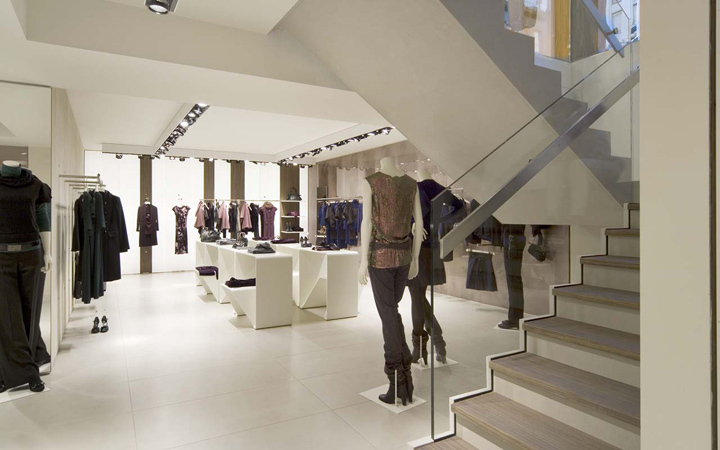 A dash of french flair is brought to the store by means of a deliberately chosen interplay between classic and modern elements. 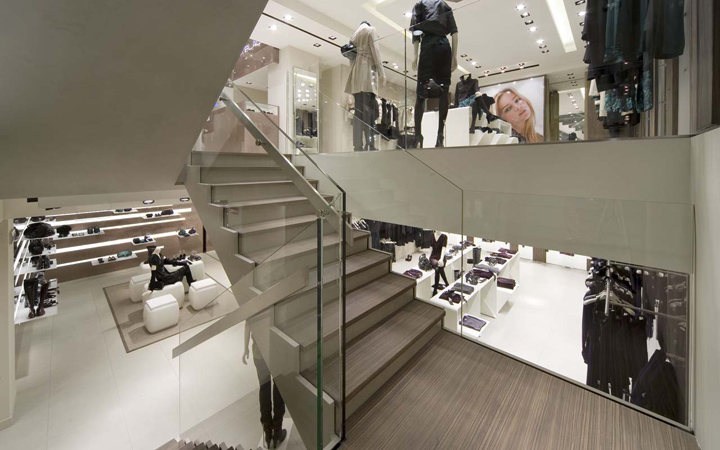 Inventory objects such as the old wooden staircase leading from the ground level to the first floor have been covered in glass and in doing so transported into modernity. 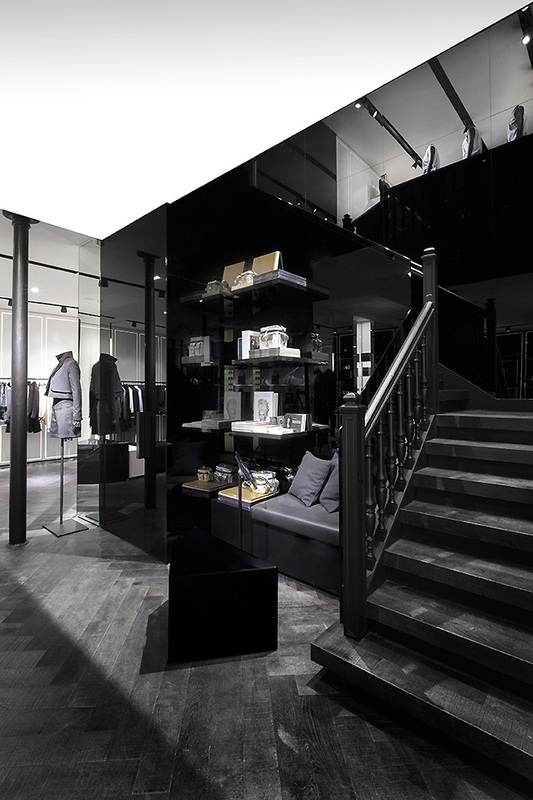 The wood panelling on the first level, characterized by neo-classical lines of french architecture, is maintained and merely restored. 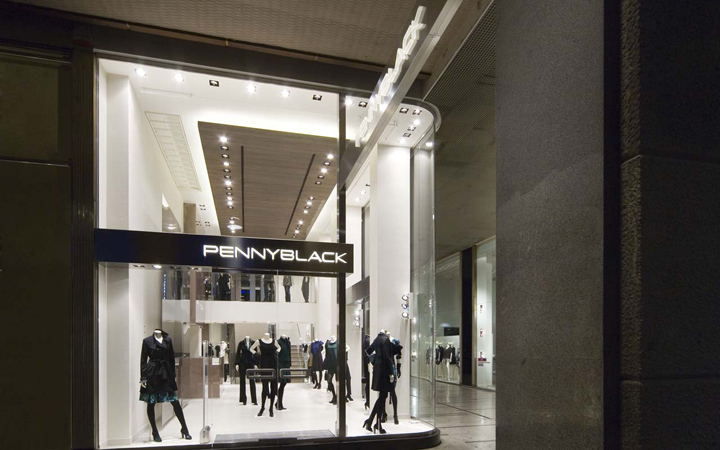 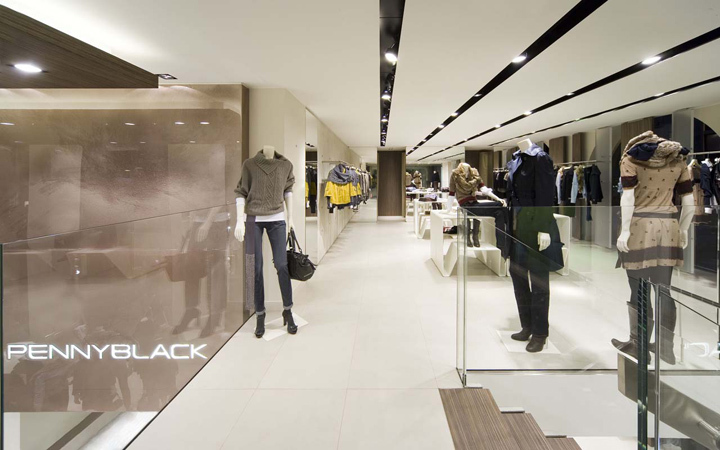 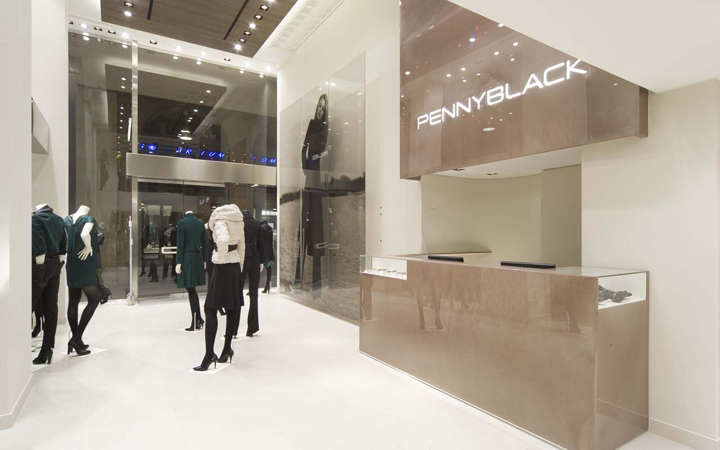 Vice versa, elements of the panelling serve as a leitmotif for the composition of the corian-walls, reapearing in the form of LED-illuminated stripes throughout the store. 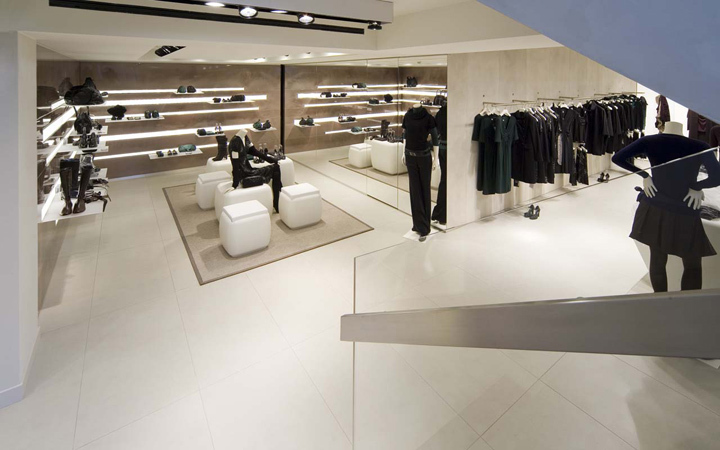 The dialogue between old and modern elements further reflects Karl Lagerfeld’s and the brand’s modern attitude.